Following the official opening on Saturday 3 July for friends, benefactors and members of the Kidderminster community, the Museum of Carpet’s second annual Summer Exhibition is open to the public. 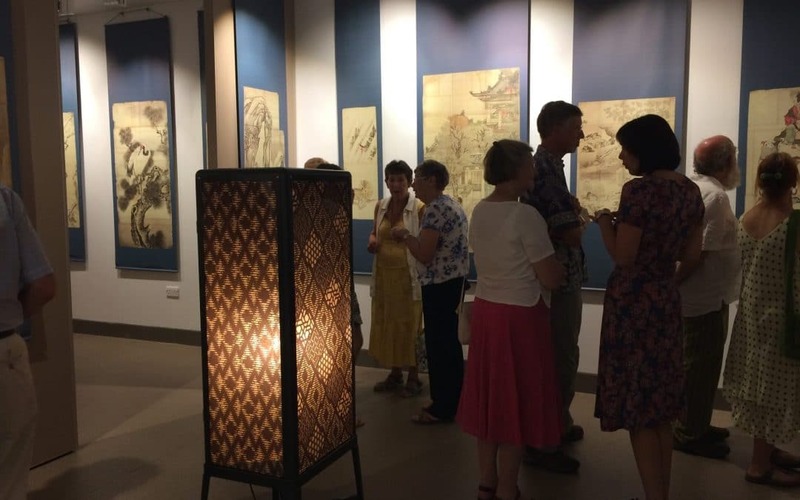 The “Journey to Japan” exhibition was celebrated with an introduction by Katagami Expert, Mamiko Markham, and officially opened by David Adam of Adam Carpets. The exhibition features stunning ink paintings and beautiful hand-cut textile stencils from nineteenth century Japan. It charts the voyage of Kidderminster carpet manufacturer Michael Tomkinson, who travelled to Japan after the country opened its borders in 1854. He was fascinated by the culture he found there and collected extensively, opening a Japanese Museum in the grounds of Franche Hall upon his return. “Journey to Japan” is on at the Museum of Carpet from 3 July-29 September 2018.